On Friday, May 10 I took the Amtrak to Washington, DC for the 7th Annual G.I. 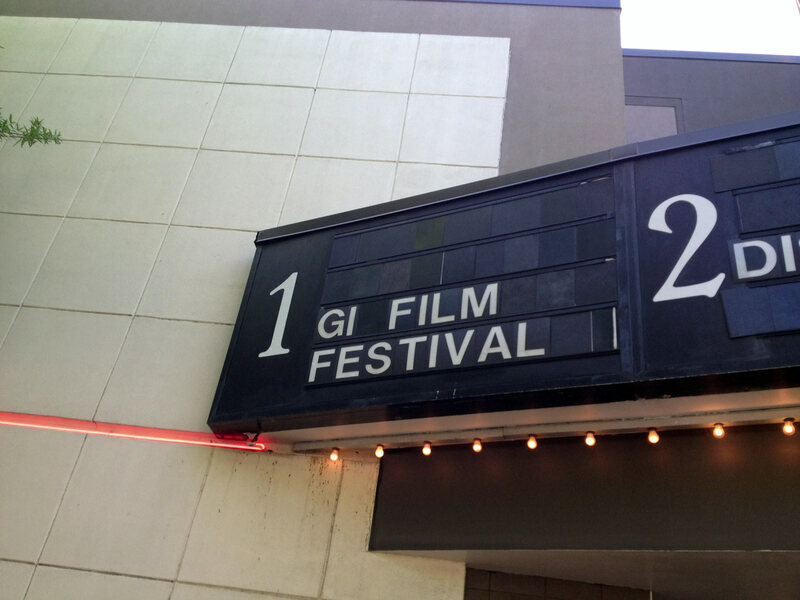 Film Festival in Arlington, VA. It was quite an honor to have my film 16 Photographs At Ohrdruf included in the festival, and I wanted to be on hand to meet the other filmmakers, as well as festival sponsors and potential distribution and marketing partners. Arriving on Friday afternoon, I found that the hotel sponsor (Hilton Garden Inn) and the theater were very close. Actually, the whole Shirlington area of Arlington seemed very newly built, and the small “main street” area was very compact. Over the coming weekend this would prove very important to meeting people from the festival. I took in a few short movies in the afternoon, including the strange and funny Bighorn, then returned for the big evening event which was the “first look” at Ron Maxwell’s new film Copperhead. As a fan of his previous films Gettysburg and Gods And Generals, I was really looking forward to a film about the anti-war faction in Upstate NY — where I’m from! Overall the film was very interesting, and got the feeling of my home region just right. There were some strange casting decisions and a little bit of overacting, but I thought it was a good story and well-done. The next morning I caught a few shorts and then met my friend Michael Equi, editor of 16 Photographs. We got our filmmaker passes and hung out for a while. Here I learned the genius of the festival organizers — the passes were on colored lanyards. Normally I am revolted by the idea of wearing a lanyard, but here it was actually smart. 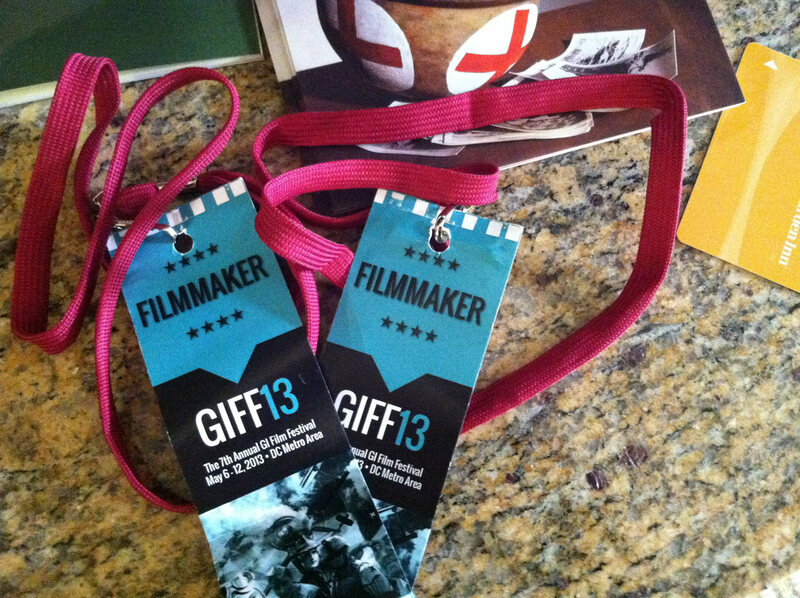 Volunteers wore passes on grey lanyards, VIPs on black, and filmmakers on bright magenta. This made it really easy to find other directors as we walked around the tiny Shirlington area, and quickly we started making new friends. Among this crowd of directors was Jonathan Mabee, whose short Missing Silence screened on Sunday, and we spent some time hanging out with him. The Saturday evening event was a trip into DC to the Navy Memorial for a screening of a rough cut of the new documentary The Hornet’s Nest. With Wynona Judd on hand as the celebrity guest, we ended up in the “overflow” room which had been reserved for veterans and family of those in the film. Equi, Mabee and I sat behind a group of Marines who were in the battle shown on screen, and it was amazing to watch them react to the footage. Even more powerful was the presence of a Marine who had lost both legs in combat, who watched the film from a gurney in the middle of the room while their Colonel sat behind us. The q+a after the screening was a blur, but festival founder Brandon Millett did a good job of keeping me on track and guiding the conversation. After the screening we had time for a quick beer, and I got to spend time with some old friends who I haven’t seen in a long time. It was great to catch up and see people take time out of their busy schedule to watch the film. It really meant a lot. 16 Photographs At Ohrdruf was the last film before the Best of Fest awards, so we made our way back for the ceremony. 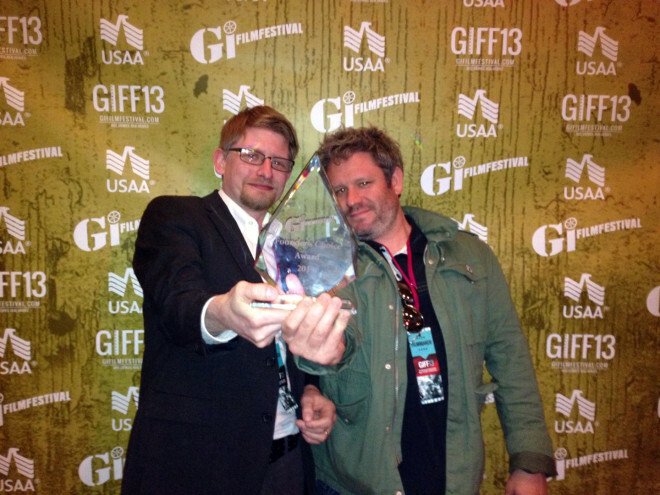 Two last shorts were screened and then the winners were announced. 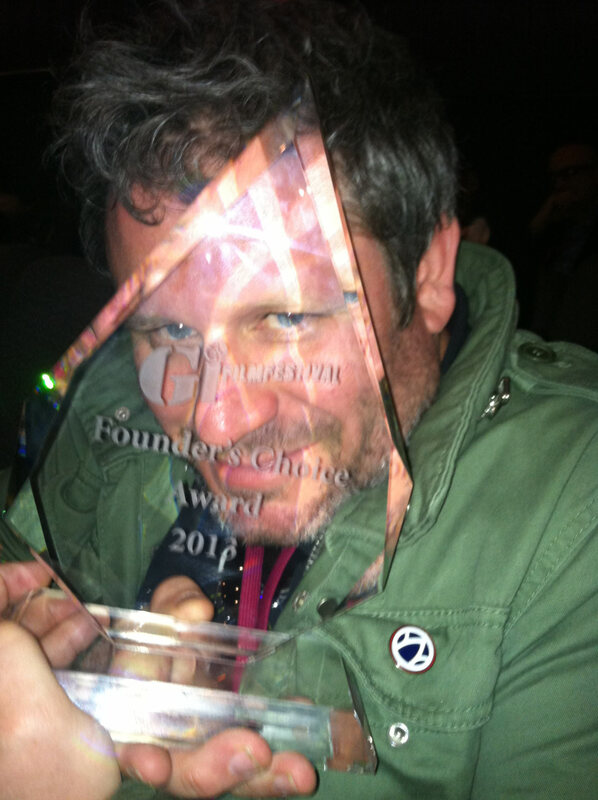 Amazingly, our film won the Founder’s Choice Award! Unlike all the other jury selections, this award is chosen by the festival founders for a film they loved and wanted to recognize. This year, it was 16 Photos!!!! Looking back, the G.I. Film Festival was a great experience. Of course it was good exposure for the film and we met a lot of good long-term connections. But even more importantly, I saw a lot of films on topics that I didn’t expect. Even though I went into the festival with no stereotypes about military/veteran films, I was still surprised by how open and consistent the themes of PTSD advocacy and post-DADT advocacy were presented. In a country that has been at war since 2003, we have a large and vocal veteran community who are using any and all means to tell their story. It was wonderful to be a part of the only film festival devoted to their stories, and I feel like I better understand “veteran America” and their needs for having been a part of it.